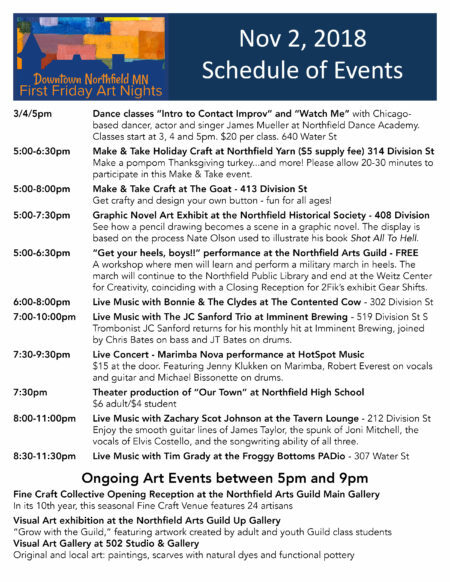 The Arts and Culture Commission of Northfield invites everyone to attend the 2018 Sidewalk Poetry Capstone Celebration at 7:00 p.m. on August 30, 2018 in Downtown Northfield on Bridge Square. The event is open to the public and will bring poetry lovers and sidewalk poets together to hear the poems read aloud, to meet the winning poets, and to hear music by Bonnie and the Clydes. Thanks to the Northfield’s FiftyNorth volunteers, the popcorn wagon will be open for business, serving delicious popcorn and cold drinks. Attendees are encouraged to bring lawn chairs so they can relax and enjoy the music and poetry of the night. A large map of the locations of the 2018 winning poems will be shared and the winning poems from all eight years of the contest will be on display. The City’s Department of Public Works will have poetry molds on display. 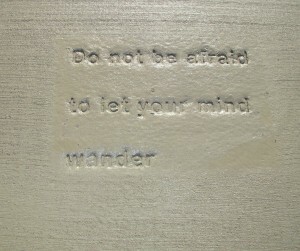 In 2011, Northfield launched its annual Sidewalk Poetry Project. In the eight years of the project, 71 poems – the creations of 49 local poets — have been selected for imprinting in over 220 locations across the community. Each one of the winning poems, imprinted into the concrete of our city sidewalks, is remarkable on its own; collectively, they offer a sense of the spirit of our community. The five winning 2018 poets are: Becky Boling, Avery Eastvold, Steve McCown, Julie Ryan, and Marie Vogl Gery. Sidewalk Poetry is a partnership with the Friends and Foundation of the Northfield Public Library, the Northfield Public Library, and the City of Northfield and has been supported by the efforts of many local volunteers. 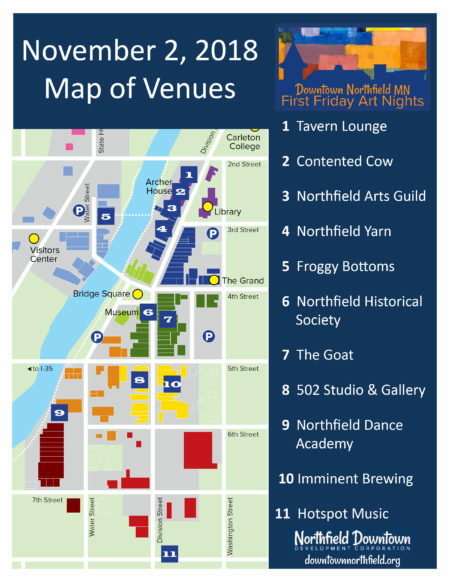 An interactive map of the poems can be found on the Arts & Culture Commission page of the City of Northfield website. 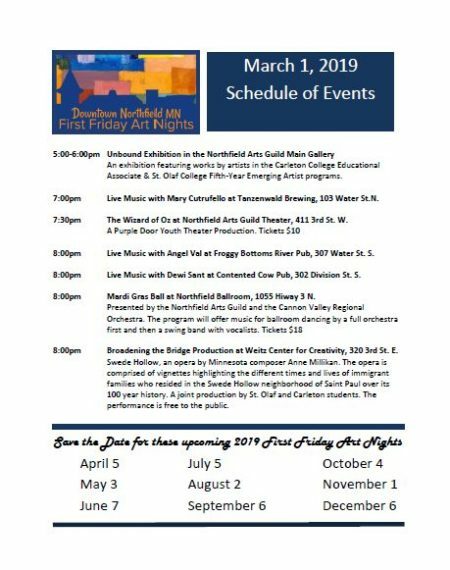 For more information, contact Bonnie Jean Flom, Northfield Arts and Culture Commissioner, at bjflom@gmail.com.